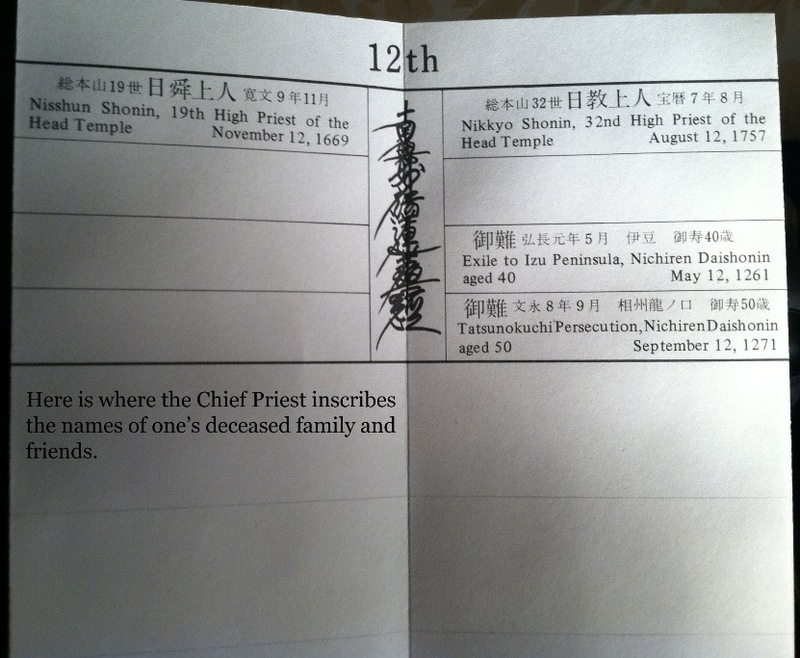 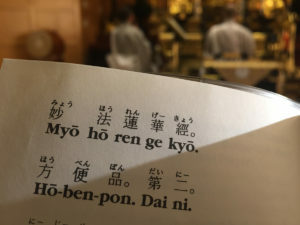 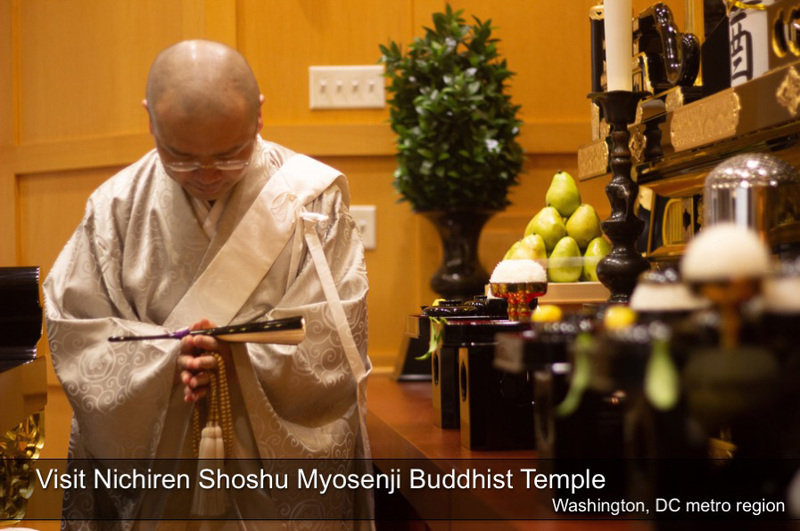 Recorded in the memorial book are the anniversaries of the deaths of Nichiren Daishonin and all the successive High Priests, acknowledgement of the religious perescutions the Daishonin endured, and the anniversaries of the deaths of our own deceased relatives and friends. It is recommended that all believers have a memorial book. 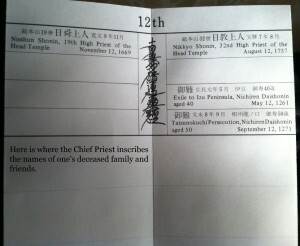 It is placed to the left side of the offering table in front of the butsudan. 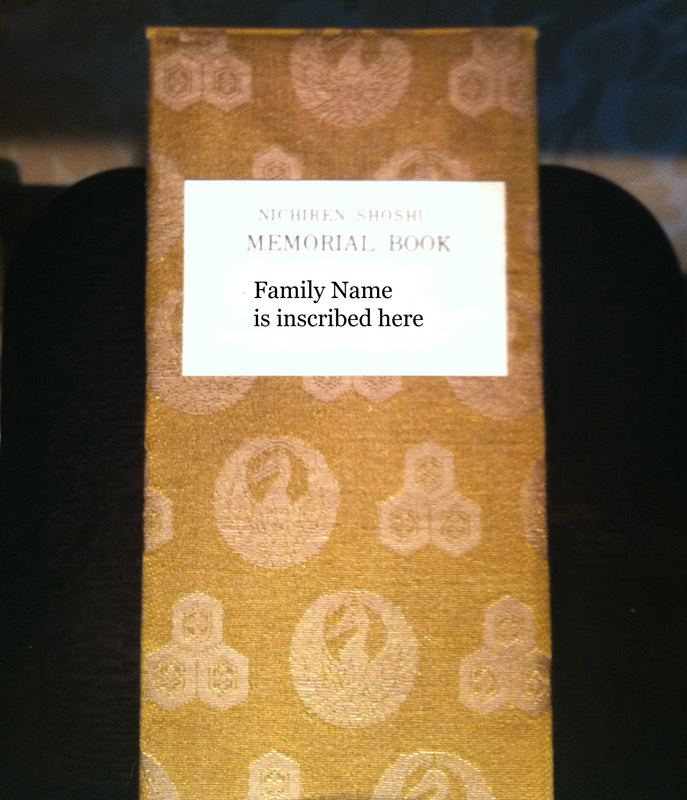 Each page of the memorial book is numbered to correspond to a day of the month. 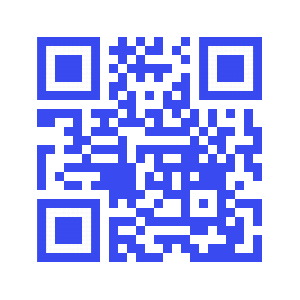 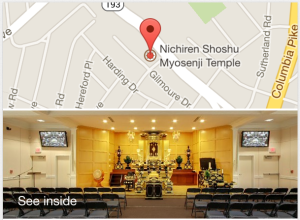 Reference: Nichiren Shoshu Basics of Practice, pages 19-21.